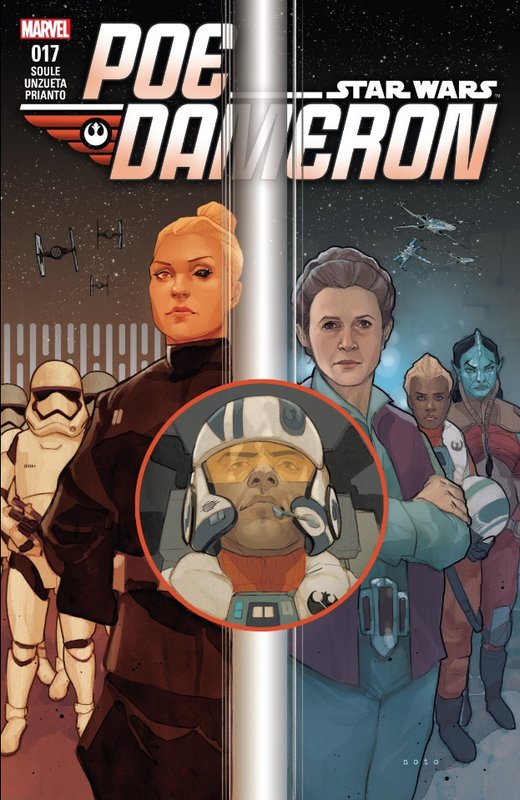 Poe Dameron #17 kicks off a new adventure as Poe and Snap head after Oddy Muva and Suralinda teams up with Jess and Karre for a mission of their own. By splitting up the characters, it packs in twice the amount of story into one issue. While it’s still nothing earth shattering, it is fun. 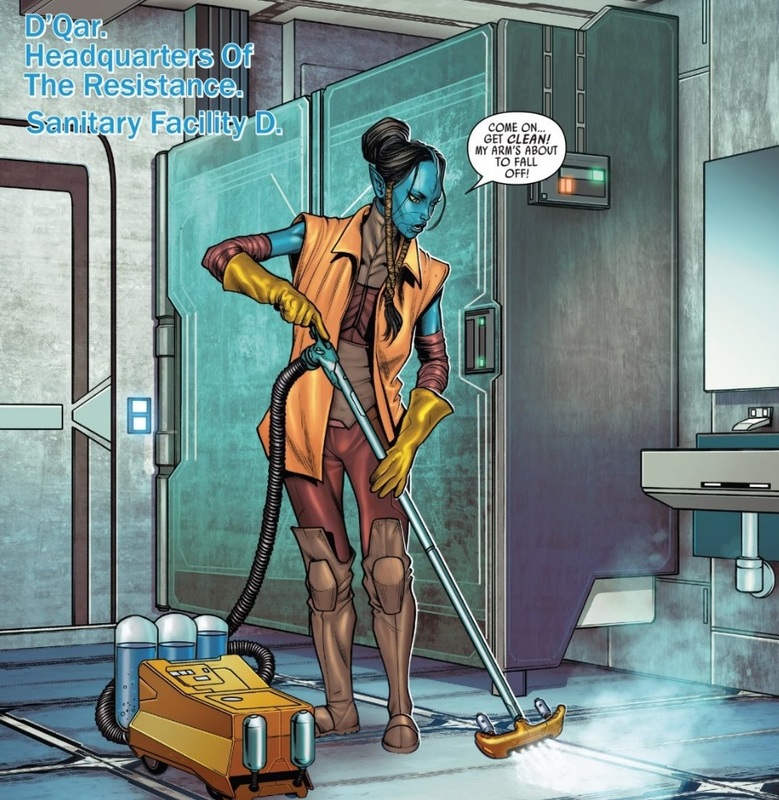 Suralinda, the weird blue skinned snake like alien, returns in this issue and gets a mission from Leia. With the Resistance short on funds, they need someone to help turn the tables. 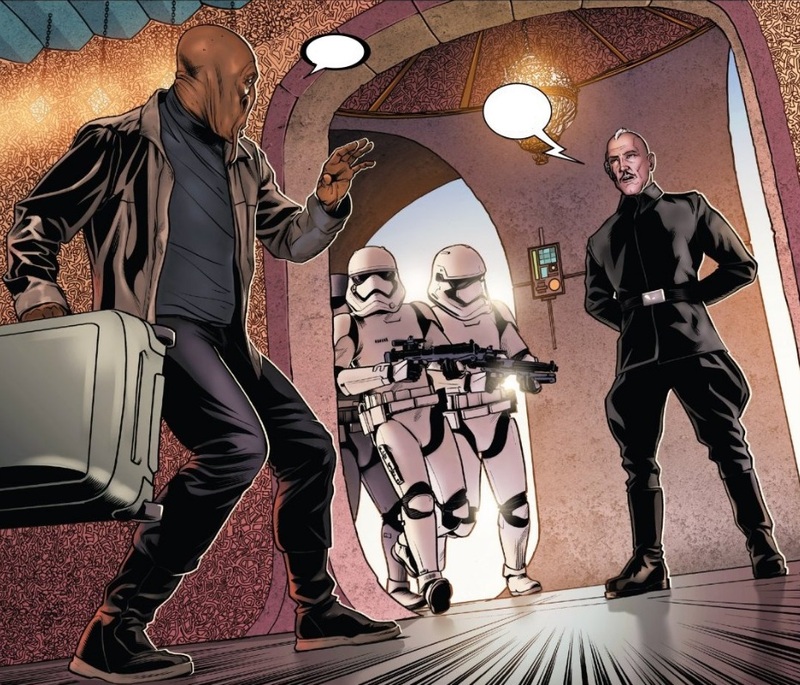 Sura comes up with a suggestion that sends her, Jess and Karre off to go spy on the First Order to get some good propaganda footage for their cause. Elsewhere, Poe and Snap are out to find Oddy Muva. Showing the other side of things, the issue reveals why First Order Commander Malarus has a black eye, that Terex is either still brainwashed or really good at faking it, and where Oddy went to. It all ties together pretty good for a entertaining issue. Artwise, Angel and Arif do a good job of portraying the scenes and bringing the panels to life. There’s good detail, good coloring and it’s easy to follow along with. 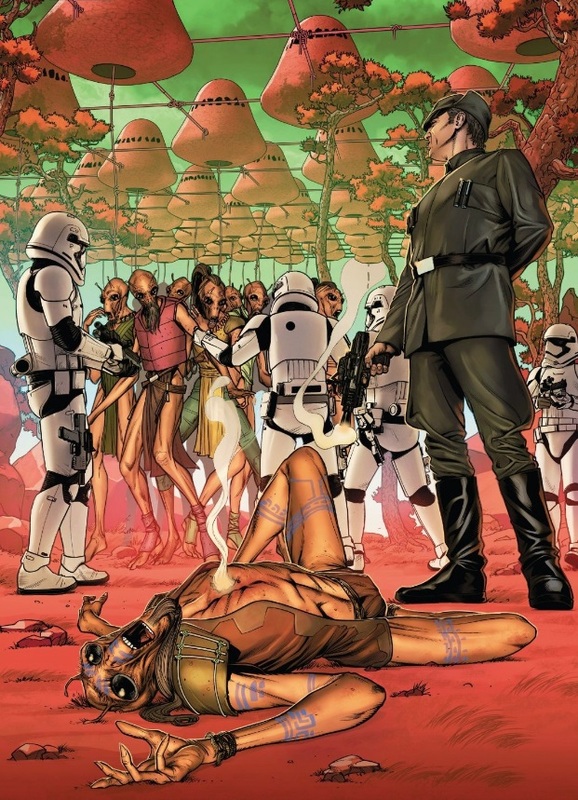 While Poe Dameron #17 isn’t redefining the way fans view the franchise, it is managing to tell a fun story, which is good enough. I give Poe Dameron #17 a four out of five metal bikinis.